31-W Insulation offers custom-made metal garage doors for residents of the Indianapolis, Indiana, area to ensure our customers receive doors that perfectly match the rest of their homes. We guide our customers through the design process, meeting with them at their home for a free consultation. Our friendly associates review the available architectural styles, colors and woodgrain finishes, window shapes and sizes, and decorative hardware options with customers during the consultation, and then help them decide which options best satisfy their aesthetic goals. A durable steel construction – Homeowners in Indianapolis, IN, can depend on these garage doors to perform optimally for many years and to need minimal maintenance thanks to their steel construction. Custom insulation – If a homeowner uses a garage for more than just storing a car – such as a workshop or a playroom – he or she can opt for a garage door with thicker insulation to help minimize heat exchange. 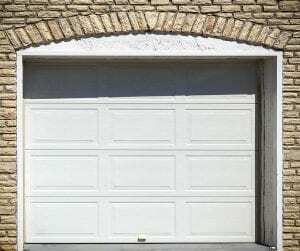 A high-wind load design – These doors can hold their own against strong, howling winds and help keep the garage in one piece during severe weather. Numerous safety features – Equipped with tamper-resistant brackets, homeowners can rest easy knowing that the inner mechanisms of these doors will remain intact while they open and close, helping prevent mechanical failure. They also have SafeGuard pinch protection to protect hands while opening and closing the door manually. To ensure that our customers reap the full benefits of these metal garage doors, we always have our factory-trained technicians complete every job. What’s more, these garage doors come backed by generous manufacturer warranties to give customers confidence in their investment. Contact 31-W Insulation today for more details about what makes the features and benefits of Armarr® metal garage doors superior to other garage doors on the market in the Indianapolis, IN, area.